Now that the playoff season is approaching – it’s time to reflect on everyone’s performance from the 2013-14 season. The grading system is all conjured up from my mind. No fancy calculations, or anything special, just my own personal thoughts and opinions – to which I would be excited to hear all of your own in the comments section, on Twitter, or on our new fancy Facebook page. Also, I feel that those who have played in less than twenty games this season should be given an incomplete grade. I don’t think it would be right to grade their body of work to those who have played more games than that. This will cover everyone who wore an Admirals jersey this season. Let’s dive right in. Hannu Toivonen joined during the midst of our own goalie injury woes. Nashville had problems of their own this season but, in Janurary, the Admirals lost both Scott Darling amd Magnus Hellberg in rapid succession. Toivonen didn’t have to do much. What he did, while playing his role as a stopgap, was decent. He played in four games, picked up a win, had a 2.50 goals against average, and a 0.909 save percentage. Admittedly, I feel his highlight/lowlight probably came the moment after he was released from his PTO with the Admirals. He played opposite Pekka Rinne and allowed 8 goals against his former team on 2/28/14 as a member of the Iowa Wild. Might not have been a great night for him or the Wild – but we sure loved every moment of it. This has been a real breakout season for the 23-year old New Yorker. Anthony Bitetto played in seventy-three regular season games with the Admirals and scored 36 points (11 goals, 25 assists). Sadly, his really hot start to the season seemed to dip at the change of the calendar. He only scored two goals in 2014 despite scoring nine goals, six of which came from the power-play, in 2013. It may have been a dip but he still finished off this year as the Admirals top scoring defensemen. Bitetto might still be a work in progress as far as his defensive is concerned. He has a plus/minus rating of -14. His speed and strength still make up for some of those glitches to his game. And those attributes still bode very well for further improvement. He made a massive commitment last off-season to get in great shape and earn his place in Milwaukee after a year that he saw some action in the ECHL. I am excited to see where his upcoming off-season takes him – because he certainly has the work ethic to take more leaps forward. The Predators third rounder in the 2013 NHL Draft joined the Admirals late this season. Jonathan Diaby entered after his junior playing time for the Victoriaville Tigres of the QMJHL were eliminated from the playoffs. He played in four games with the Admirals and, depending on summer moves, will more than likely start his season here in the AHL for the 2014-15 season. Diaby is a mountain of a man – standing 6’5” at the age of 19-years old with room to fill out his already powerful frame. With how big he is I was very impressed by how well he could move around on the ice. He was far more mobile than I expected him to be and could skate very well. I think he should be a fun defenseman to watch develop in the coming years. What can be said of the Sheriff that isn’t already public knowledge with Admirals fans at this point? Scott Ford is a leader through and through. He isn’t known much for his scoring prowess, 6 points (3 goals, 3 assists), but more-so for being a stay at home defenseman. With the puck movers the Admirals have featured this season his veteran defensive touch has been a boost. One better, having him from start to finish this season -knowing the locker room leader that he is- has impacted this team far more than any statistical chart could ever tell you. Ford broke his foot back in December. He was supposed to miss four to six weeks worth of games. He was back four games after the injury citing it felt better in a stiff boot than it did in a shoe – so why not play? That’s the work tone he establishes. And it becomes a major factor at this time of the season. I don’t know which is more sad. The fact that Teddy Ruth retired from the game of hockey at the age of 24-years old or that he will probably only ever be known as that one guy traded for Sergei Fedorov. Ruth played in six games with the Admirals this season. He didn’t do anything spectacular – either positive or negative. Which is why, when it all boils down, you can see why the team chose to stick with Charles-Olivier Roussel over him. I wonder if just such a factor was enough for him to call it quits. While most really never had the chance to see this 25-year old defenseman – I had the chance to see him at practice the first day he joined on an ATO. Michael Young looked quick, was a smooth skater, had good hands, went to the final round of a team shootout drill with Francis Wathier, and wasn’t too bad at keeping the play in front of him on game-situation style drills. Young made his professional debut as a member of the Admirals against the Toronto Marlies. He was injured very early in that road game. And that’s all we ever ended up seeing from him. Joe Piskula has been nothing short of brilliant for the Admirals defensive core this season. Similar to Scott Ford – he has never exactly been known for his offensive abilities. More than anything it is his calming defensive presence that comes to mind. Piskula’s season ended with seventy-three games played, 23 points (3 goals, 20 assists), and a plus/minus of +20. He did so well at the start of the season that the Nashville Predators decided he was the man they wanted up for a two-game period. It was his first NHL action since the 2011-12 season while playing with the Calgary Flames. I think that Big Joe from Antigo can fly under the radar for some people. It’s never flashy from him. It’s just smooth. I’ve been really impressed with all the work that I’ve seen from him this season. For such a role on the team, surrounded by a group of young defensemen, I feel Piskula showed many the example of how it should be done this year. The man that has everyone frothing at the mouth in Nashville has spent the majority of his 2013-14 season here in Milwaukee. Filip Forsberg had some playing time with the Predators – thirteen games. He captained Sweden in Sweden to a silver medal at this year’s World Juniors. For those that need reminding – he is still only 19-years old – and there is still plenty to be learned. For those still frothing – good news! I think that Forsberg has been one of the most improved players, start of the season to the end of the season, on the entire team. At the start of this season there were some occasions that reminded me heavily of Alex Ovechkin’s defensive work rate: sitting in space, looking distracted, and waiting for the offense to start itself up. As games picked up so did his ability to work hard defensively. He became more and more involved – more and more efficient – and more and more trusted with his presence on defense. To see him evolve from Ovechkin levels of frustration to a trusted penalty killer this season has been a far bigger delight than his end season scoring total of 34 points (15 goals, 19 assists). I expect him to hit Nashville camp in the summer and pre-season with a new found confidence in all areas of the game. At day’s end that is precisely why he needed this season in Milwaukee – and he has delivered. “The Curious Case of Cehlin” continued this season. In the first half of the season he looked off and, on some occasions, in over his head. Then he missed two solid months of game action due to a concussion. He has been outstanding ever since: 19 points (4 goals, 15 assists) in thirty games. The question, beyond health issues that have shown up the last two seasons, is just what sort of player do you get with Patrick Cehlin? As was the case this season, first half or second half? Should he deliver a full-season of work to the tune of his 2014 run with the Admirals there is something to be rather excited about from him. He is quick, smart, creative, and has really minimized mistakes over the course of a season. Plus he facepunched Jon Blum – something everyone in the organization can admire! There are plenty of things to like about Cehlin. I think we all just want to see it done consistently for a full-season. 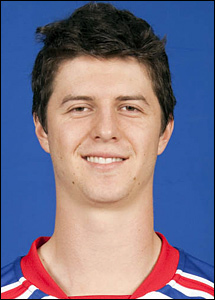 The man with the longest neck on the team, guessing, spent four games with the Admirals this season and scored no points. Last season he played one extra game than this year and picked up two assists. The 29-year old is a fixture of the Cincinnati Cyclones of the ECHL mainly. He had a really great year for them in 2013-14 actually: he played in sixty-four games, scored 48 points (16 goals, 32 assists), had a plus/minus rating of +7, and 46 penalty minutes. That’s all well and good but it wasn’t done right here in the AHL – nor would I have expected it to. The 20-year old Finn joined the Admirals after his junior playing time with the Kingston Frontenacs of the OHL came to an end. Nashville’s fourth rounder of the 2012 NHL Draft made his professional debut with the Ads and played in two games. He looks calm and confident from the time I’ve seen him playing and practicing with the team. I expect to see much more from him in the next few years. One of the members of this season’s “ATO” gang – he joined the Admirals out of a successful college playing career at UMass-Lowell. He made his professional debut and played five games this season. He played with great energy, was a very fast skater, and could do plenty of creative things in all three zones of the ice. I’m not sure where his future will be, if he stays or goes, but I can easily see him sticking around the AHL level at the start of the 2014-15 season beyond our organization. I would hate to use the term disappointing to describe Kevin Henderson’s 2013-14 season. Instead, I would prefer to describe his 2012-13 as miraculous. A lot of weight was put on his performance last season: scoring 29 points (17 goals, 12 assists), getting an NHL call up, and scoring his first career NHL goal. The expectation was for more of the same or quite possibly another improvement. The truth is that Henderson is your typical grinding lower-line winger that has a better sense for defense than he does offense. Last season he blurred the lines between where his strengths were: offense or defense. That meant lofty expectations this season to keep the hammer down. I would have been shocked to see him repeat that level of play up this season. Sadly, I’m surprised he wasn’t even able to deliver to the tune that he did in years past. He was loaned to the Texas Stars and has fared well with their high-powered squad. Would he have been able to fit in and done as much with the Admirals the rest of the regular season? I’m not all that sure that he would have – and I doubt that the Admirals would have been as strong as they were with him as they are with Francis Wathier. Braden Pimm is the man with all the connections. He attended Northeastern with Anthony Bitetto and Vinny Saponari. Pimm grew up in Fort St. John, British Columbia just like Scott Ford – whose hockey camps he would attend and help instruct. It’s not so much these great ties to the team that surprised me, which they do, but his incredibly smooth playing style. Of all the additions to the team on an ATO basis Pimm played the most amount of games out of the bunch: nine games. I feel as if the reason for that is his attention to detail and mistake free style of hockey. It lends itself well to playing lower-line defensive hockey. Were he to stick around for longer than this year you would only hope to see him elevate his offensive game. He joined the Admirals after his most productive college season at Northeaster where he scored 37 points (20 goals, 17 assists) in thirty-seven games. Playing mistake free and safe versus playing in attack with aggression are a fine line job but it is something he’ll need to push should he play AHL hockey versus ECHL hockey next season. Whether or not that is with our organization will be an off-season question mark as well. Who would have thought at the start of the season just how impactful the chirp-o-matic Mathieu Tousignant would be? It isn’t necessarily scoring with him: 21 points (8 goals, 13 assists). It isn’t about his willingness to drop the gloves: 14 fights this season and, possibly, zero wins. What it is about Tousignant that makes him so impactful is that he works, works, and works. He is a center that can bring so much to the table: speed, strength on forechecks, keen eye for defense, getting to the dirty areas, talking, more talking, talking in French, and talking some more. With all the flash that the upper lines can deliver – Tousignant has allowed for good two-way play all season long on the bottom lines of the Admirals. He has allowed balance in that respect. And he is the sort of player who perfectly sums up the Pesky Ads nature that we all know and love. Mike Liambas is the Milwaukee Admirals top enforcer. He fights people – lots of people. He broke Jordin Tootoo’s 2004-05 Milwaukee Admirals AHL record for penalty minutes in a season. Now here are my other favorite things about Liambas’ 2013-14 season. He works so incredibly hard on the small details of the game. He is so much more than some knuckle dragging thug looking for a fight. This season, with plenty of teaching from coaches and teammates, he has taken a step away from that side of the game to focus on the rest of it. And it shows. The Mike Liambas we saw join the team last year versus this year are two completely different people. Last season it was more about the physical elements of the game: fighting, checking, and big hits. This season he played very measured, structured, and sound two-way hockey for the team. The offensive numbers may not back that up, 8 points (3 goals, 5 assists), but time and time again the line combination of him with Mathieu Tousignant and Joonas Rask found themselves in the offensive zone or starting games. It was about the tone that they set for the rest of the game. They worked and worked hard – shift after shift. I’ve loved seeing the evolution of Liambas’ game this season. We all know what his fists can do and how big his heart is when it comes to being loyal to his teammates. What I hope doesn’t go unnoticed is just how well he has performed beyond those attributes this season. From the opening games of the season, to his selection on the AHL All Star roster that would face Färjestad BK, to his first NHL call up, first NHL goal, and return in time for the playoffs – what is there to not like about Colton Sissons’ first professional playing season? It seems like nothing really phases Sissons. He has a maturity level for his age that is astonishing. It’s hard to watch him play, speak to him, and then remind yourself that he is 20-years old. He never makes the flashy play but he always seems to make the intelligent and correct play that needed to be made. In some ways I find him to be the opposite of Filip Forsberg. One is very flashy, skilled, and flamboyant. The other is very mechanical, simplistic, and refined. Both need to learn what the other possesses. And Sissons has the stuff coaches have the hardest time teaching players – maturity. We’ve seen plenty of great things from him this season. I wouldn’t be surprised to see him maintain NHL playing time next season. I know, I know. Calle Jarnkrok was only with us for six games. Should he really get a grade? Well, having played fifty-seven games with the Grand Rapids Griffins prior to being traded – yes. In every single game Jarnkrok has played with the Admirals this season he scored a point: 9 points (5 goals, 4 assists). He nearly carried that same level of performance into his first career NHL call up: 9 points (2 goals, 7 assists) in twelve games with the Nashville Predators. I’m not even expecting to see him again whenever the Admirals finish up this year’s playoffs. He is an NHL caliber center that plays with speed: physically and mentally. He just seems to process the game quicker than most. He makes his linemates around him better because of his mind for the game. Some could point at his size and say he needs to beef up to take the punishment of an NHL season. I point to his age, 21-years old, with glee. David Poile may have traded away the team’s first ever draft pick – but he replaced him with someone who can prove to be just as special to the Nashville Predators. If there were one player from the Admirals this season who probably deserved an NHL call up but didn’t get one – it was Miikka Salomaki. In his first season of professional hockey in North America he finished as the team’s top scorer with 50 points (20 goals, 30 assists) while playing all but one game of the Admirals entire regular season. There might not be a better example of the word “relentless” than Salomaki. He never takes a shift off – ever. He finishes his checks. He races to compete on the backcheck just as hard and aggressively as he would to join an odd-man rush. Best of all, he has performed this way consistently throughout the entire season. There really has never been a dip in his compete level. He has been a blast to watch play this season. Were he to get games in the NHL next season – it would be because of all of the reasons above. Relentless. The Swiss Olympian was highly rated out of Nashville’s pre-season camp. In fact, Simon Moser was one of the final names cut at the end of the pre-season. He plays strong two-way hockey and really appeared to get more comfortable as the season went along. His performance in the Olympics was incredibly fun to watch – so active in all areas of the ice for his Team Switzerland. Then he earned an NHL call up and scored his first career NHL goal. It was very unfortunate that a rowdy bunch from Rockford injured him after his return to the Admirals following a successful run for himself. Moser missed one month due to a left shoulder injury but has healed up just in time for the playoffs. He seems to be back physically but, since returning, has only scored an assist. He could still be working out the kinks skating forward but I feel his best asset to the wing position is his polished defensive game. To me, his defensive skill set is his bread and butter. It can be a boost for the playoffs ahead – and the Predators in the near future. There are a few players that seem to be in the grey with me: Bryan Rodney, Patrick Cehlin, and -every now and then- Marek Mazanec. They are the type of players that you just don’t know what kind of game they’ll deliver. Good? Bad? Both? I think Scott Valentine fits right into this group as well. What I like about him is his physicality and grit on defense. He checks people hard and plays very well along the boards. His defensive pairing with Ford is one of the better “pure defense” lines that the Admirals can roll out. Then there will be circumstances that seem as if he tries to break that defensive mold and gets caught out for doing too much: turnovers at the blueline or, worse, right in front of his own net. I still ponder how Valentine would fair at the wing spot rather than defense. While he certainly isn’t a buzz kill by any means in defense – I think his abilities really shine brighter whenever he finds himself filling in on the wing. Think Mike Liambas but with a little more agility and a stronger shot. That could easily be him and, with time, perhaps more. With all the defensemen coming down the pipeline I don’t know where his future is with the team. It seems like his natural replacements would be Vainonen or Diaby. If he were to stick around I question whether we’ve not already witnessed his ceiling as opposed to those names. Kirill Gotovets is the only player this season who I had to personally ask how he says his name. Poor guy. Just as well, he is someone who I’m still not certain who owns his playing rights. He was drafted by the Tampa Bay Lightning in 2009. He was traded to the Chicago Blackhawks at the end of the 2012-13 season. And then joined the Admirals after requesting the Blackhawks organization to allow him to play elsewhere. Perhaps you guys know that ordeal better than me! What I saw out of the Belarus Kid – I liked. He could move around real well. Appeared to have a nice shot and could make crisp passes. I saw him play his one and only game with the Admirals, his first ever as a pro, and a few practices. At 5’11” he was the shortest d-man the Admirals fielded this season. Add that in the memory bank with the skill set and I think of him as Ryan Ellis Lite. Take that as you will. Selected in the second round of the 2009 NHL Draft by the Predators – this was Zach Budish’s first full-season of professional hockey. He joined late last season and played nine games while scoring 4 points (1 goal, 3 assists). This year he played in forty-one games with the Admirals and scored 9 points (3 goals, 6 assists). He mainly played on the fourth line – with an occasional leap to the third line. He played fairly defensively as a forward and never did too many things that leapt out at me. I may not have been alone in that feeling. He spent sixteen games in the ECHL with the Cincinnati Cyclones where he tallied 9 points (3 goals, 6 assists). I feel as if the mold of player Budish could and should aspire to play like is Simon Moser. Both are big, strong, and defensive minded wingers. The difference between them, away from quality and effectiveness, is the offensive nature to Moser’s game to add to his defensive skills. Budish is a player who has a track record of injuries from his earlier playing days. If there was a true positive this season it was that he didn’t have a set back and has something to build on next season. I, for one, would really like to see that happen. ECHL versus AHL performance. That is the eye twitch inducing issue with Josh Shalla the last two seasons. 2012-13: ECHL, 37 games, 28 points (21 goals, 7 assists)… AHL, 32 games, 12 points (3 goals, 9 assists)… 2013-14: ECHL, 29 games, 30 points (14 goals, 16 assists)… AHL, 26 games, 4 points (2 goals, 2 assists). The scoring talent and eye for goal is there. It just isn’t there in Milwaukee. I’m not sure if that’s a matter of playing on a lower-line, being asked to perform a different role, or a lack of consistent playing time. The numbers in Cincinnati the last two seasons don’t lie, though. He can produce. I just want to see that ability to turn up when he gets his chances to play as a member of the Admirals in the AHL. I don’t think there was a better story this season than when Mark Van Guilder finally received an NHL call up and played his first career NHL game at the young age of 29. Like Ford, everyone knows just what Van Guilder brings to the table. He can play every aspect of the game. He is fantastic on the penalty kill. His work on faceoffs can make big differences in games. He does it all. He may have regressed statistically last year to this year but I don’t pin that down to him. His effort this season has been as strong as it always is for the Admirals. And his guidance and leadership for a player like Colton Sissons, and undoubtedly more, do wonders for this team and the future of the big team in Nashville. At the start of the season, on media day, Scott Ford told me that Marek Mazanec would push Magnus Hellberg hard this season. I laughed at that. And I think I stopped laughing somewhere around his opening five-game winning streak with the Admirals. He would go on to replace Hellberg’s brief stint in Nashville, win the NHL’s Rookie of the Month award in November, and continued his success at the NHL level for quite a few games after that. When he returned to Milwaukee, primary assist to Devan Dubnyk, Mazanec was the work horse for the team. Hellberg and Darling were both injured. It had to be Mazanec or it had to be Hannu Toivonen. Who would you pick? I actually think it was this highly taxing stretch of the season that wore Mazanec down for a good chunk of games. You almost forget his track record. This is his first North American season. Before this year the most games he had ever played in one season was twenty-one games in 2012-13 for Plzen HC. This season, taking the new territory of the North American game as well, he has played a combined fifty-six games between the NHL and AHL. That is a staggering increase in work load. Fortunate for him and the Admirals – I feel as if he found a second wind entering the playoffs. He finished the season off with a CCM/AHL Player of the Week award and four-straight wins where he has only allowed 1.00 goals against average with a 0.965 save percentage. Wouldn’t you know it. Another quality European goalie in the system. I like to call Bryan Rodney the Thunderdome. People don’t really like him much and he can provide fans plenty of ammunition to back those feelings up. While he can be a mess on defense at times, can make blunders holding the point, or creating turnovers in the neutral zone that lead to breakaways… he is the Admirals second best d-man in the scoring department: 34 points (5 goals, 29 assists). He actually finished third on the entire team in assists. There is some good. There is some bad. There is even some ugly. And that’s why I call him the Thunderdome. I think this kid has a bright future. Pekka Rinne may have only played for two games in net this season for the Admirals but he won them both. I can’t even keep up that up for a joke. We know who Rinne is, where he belongs, and how incredible he is. It may have been a conditioning assignment for him but it also seemed to massively propel the Admirals season. Including the games that he featured in the team went 16-5-0-1 (33 points) in twenty-two games. The team was in a five-game winless skid prior to Rinne joining. Perhaps we needed him to get our bearings just as much as he needed us to get his. When people ask me what I want most from a defensemen I tend to say, very bluntly, defense. Offensive flair, speed, goals, and a creative touch with passing are great skills to have. At day’s end though a defensemen has to hold his own zone first. I don’t think there is a better defensive defensemen on the entire Admirals team than Joonas Jarvinen. This is his second season in North America. Injuries may have taken him out of the lineup for a chunk of the season but whenever he played the team just seemed to play more responsible hockey. I would like to think we see another step forward from Jarvinen next season. Don’t let that regular season finale change your mind. Scott Darling has had an unbelievable season with the Admirals. If he had the games and minutes to qualify he would have the AHL’s best goals against average (2.00), best save percentage (0.933), and probably would have passed Jake Allen for most shutouts this season. Allen played in fifty-two games and recorded the league high seven-shutouts. Darling played in exactly half the games and earned six-shutouts. It has been a ridiculous season for Darling. Taylor Beck has been extremely consistent this season for the Admirals. The team can count on him to provide his skills on the power-play, penalty kill, even strength, and -a few times- to double up on forward lines when the team needs a spark. While Nashville fans might ask when a serious ETA for him would be in regard to playing and staying in the NHL – I just think he needs the chance to really sink his teeth into a two-way third line role and get in a groove at that level. He is well versed to play in all three areas of the ice. He might make a lapse here and there with an extra pass but, with a team best 32 assists, you can tell why he thinks about the set up rather than the trigger. I feel like Beck has been NHL ready this entire season. He’s played to that standard all season and I wouldn’t expect that to change moving into 2014-15. If there is one player who I truly felt the worst for this season it is Magnus Hellberg. His numbers aren’t too bad but the win/loss record is what matters the most at days end – not the save percentage. He was injured the first day of Nashville’s pre-season camp where he hoped to follow up his incredible rookie season with the Admirals with a back-up gig to Pekka Rinne. That went away. Then he was recalled in the wake of the Rinne news, was swapped out for Marek Mazanec, and then seemingly outplayed by Scott Darling in December. His injury in January proved to be a real low point. Just when a window opened for him to really start games on a consistent basis, due to a practice injury that would sideline Darling for a month, Hellberg was injured in the first game of a road trip that he seemed destined to start each and every game. He never played with the Admirals again the rest of the season. While he was able to get some games back under his belt with the Cincinnati Cyclones in the ECHL there is still no hiding from it. This season is one to forget for Hellberg. Similar to Calle Jarnkrok, we’ve only had Francis Wathier for a little amount of time in the grand scheme of things. He played in forty-eight games with the Texas Stars and then seventeen games with the Admirals. Small sample, but he has added a great presence to the team that they didn’t have before. In my eyes Wathier is a veteran bulldozer at the forward spot. He can play center or wing and has fared well at both positions since his move out of the Stars system. When we acquired him on loan, nearly like a trade in the way we loaned the Stars Kevin Henderson, a lot of you readers made a comparison to him being like Brad Winchester to our roster last season. It’s a nice comparison, too. Veteran leadership. Calm demeanor on and off the ice. Strong on the wall and on defense. He’s the sort of player that you just want on your team specifically for the playoffs. We may not have seen his best games in an Admirals sweater just yet. It has been an impressive sophomore season for Austin Watson. At the start he seemed to be missing a gear but really gathered himself and finished this season on fire. I think a lot can be said about how he handled the move from center to wing. With Sissons jumping him on the Nashville totem pole and then the acquisition of Jarnkrok – he needed the move to the outside for more than just a spark to his game in Milwaukee. Since his move to the wing in March he scored 16 points (8 goals, 8 assists) in twenty-one games. I’m hoping this sort of move becomes permanent from him. His defense is great, probably the team’s top penalty killing forward, but allowing him the freedom of movement on the wing really added something dynamic to his offensive game. He scored two more goals and seven more assists than he did last season. There is an extra dimension that just opened up for Watson and I think Nashville should take notice of him as a winger. Charles-Olivier Roussel’s work rate was so impressive this season that he took Teddy Ruth’s job and often forced head coach Dean Evason to include him in games and dress seven defensemen. He played sixty-six games and scored 17 points (4 goals, 13 assists). His all-around game really took a massive step forward. To think he spent the bulk of last season in the ECHL and worked his way consistently into games for the Admirals. It says more than I can as to the level of play he has shown this year. Vinny Saponari started this season off with fourteen games in the ECHL. He joined the Admirals in late-November and never looked back. He scored 33 points (15 goals, 18 assists) in fifty-eight games in the AHL. He has plenty of tricks up his sleeve on offense, toe-drag specialist, and backed up that scoring with a plus/minus of +11. It has been a fantastic story seeing Saponari come out of practically nowhere to be one of the Admirals top scoring forwards. I would really like seeing him stick around just so I can see if his game can continue to excel. The far more famous and successful member of the Rask family joined late last season after his time with Jokerit came to an end. In his one and only game with the Admirals in 2012-13 he scored a goal and an assist before getting two games with the Nashville Predators – where he scored his first career NHL point – an assist. I caution people who look at Joonas Rask’s speed and stickhandling and instantly think offense and turn them to his ability at the other end of the ice. His speed and active stick work really make it frustrating to play against. He can disrupt a pass on one side of the ice and have the lightning speed to turn defense into offense instantly. That offense might not be all that there yet, 14 points (4 goals, 10 assists) in fifty-eight games, but he does have the tools to do damage with some time and guidance. He doesn’t deliver the boom like his fellow Finn Miikka Salomaki. He doesn’t have the offensive upside like a Filip Forsberg. But, all in all, he has a lot of talent that I could still see as impactful at the NHL level. His speed and defensive maturity are a good foundation to build on. He just needs to take the next step that sees him become a bit more threatening on offense. Agree? Disagree? Please feel free to provide your own grades, thoughts, or opinions below in the comments! Overall, I would agree with just about all of these Lavender. 1. Simon Moser. Lavender: B-; Jason: A. No grade inflation here, Simon Moser had a terrific first North American campaign. Yes, he is a little older and slightly more mature than your usual rookie AHLer, but going from the Swiss Elite League, to regular minutes in the NHL in one season is absolutely remarkable. He along with Jarnkrok and Sissons might have been the Nashville regulars down the stretch if he was healthy. Plus he got to play, and really play well, at the Olympics, which is invaluable experience. 2. Mark Van Guilder: Lavender: B+; Jason: A-. Take away the late season injury on MVG, who rarely misses games and he would have set career seaspm scoring marks. MVG earned a well-deserved NHL debut at age 30 after a 400+ minor league games. Incredible story, plus how much has he meant to fellow prospects like Colton Sissons? Deserved at least some sort of A-status, perhaps a college AB. 3. Marek Mazanec: Lavender: B; Jason: A-. Did he have some bad stretches? Yes, but hard to take away from a fantastic rookie season that saw a lot of NHL action, a jump over bigtime prospect Magnus Hellberg on the depth chart, and some great AHL moments. Maz is now marked as the goalie of the future in the Predators organization, which is impressive considering the competition. 4. Scott Darling: Lavender: A; Jason: A-. To discount Scott Darling’s efforts and meaning to the Admirals 2013-14 campaign is crazy. But a conversation with Mitch Korn gives away everything about what the Predators think of the minor league veteran. He’s third in line behind Mazanec and Hellberg on the depth chart, and as of now that hasn’t changed. Yes, Scott was a great surprise this season and took advantage of his opportunies, but for whatever reason, notably an injury at the worst time possible, Darling did not get more opportunities despite a statistically dominant season. Now it will be up to Darling to prove now in his career that this season was not a fluke, and unfortunately he might have to do it with another organization. 5. Filip Forsberg: Lavender: B+; Jason: B. Maybe it’s from the NHL games I’ve watched with him dressed, but I just don’t see Filip Forsberg as an NHL talent quite yet. Doesn’t mean the 19-year-old isn’t going to be. Forsberg is improving, but how much of that had to do with countrymen linemates? This future gem still needs some polishing, but he’s getting close to where I thought he would be. Forsberg is still developing, but in an organization like Nashville, he should get a real NHL shot soon enough. What he does with that is up to him. 6. Taylor Beck: Lavender: A-; Jason: B. This was the toughest one for me. Taylor Beck can look like a dominant player at the AHL level, but for whatever reason it hasn’t translated to the level above (kind of like Josh Shalla with the ECHL/AHL). I watch Taylor Beck play and like Chris Mueller, I see no reason why he isn’t in the NHL fulltime. Question now is whether he will get over that hump to regular status. I think Beck should be there provided his overall game keeps improving. 7. Miikka Salomaki: Lavender: A; Jason: A-. For Salomaki it was an amazing first season as he developed into arguably Milwaukee’s most valuable player not named Joe Piskula (yes I did say that). He has a killer work ethic and makes his teammates better. But on a year where Nashville didn’t make the playoffs and was out of contention for a little bit at the end of the year, how does he not get a game or two or three in the NHL, at the very worst just to motivate him that much more? Well done! I would generally agree on most of these – there are some finer points I’d like to being up. RE: Rodney – You may refer to him at the “Thunderdome”, but he does one thing that I’m not seeing from any other current Ads defenseman, and that is being a one man breakout. And to quote you RE: Hellberg – ” His numbers aren’t too bad but the win/loss record is what matters the most at days end – not the save percentage.” I could not disagree more. Win/Loss for goaltenders (and pitchers!) is a brutal stat. Make 44 saves and let a deflection slip past you on a night when the team in front of you cant buy a goal? Enjoy that loss! Let five in nineteen shots when your team has the hot hand and put in six? Here is a win! We use stats to quantify and to try and predict performance, and I feel SV% (and honestly, 5v5 SV%) to be the best stat to fairly judge goaltending on. Jason, I disagree Scott darling is a solid A.. He pushed hellburg to cincinatti! It was his first season in the AHL and let’s not kid ourselves both maz and hellburg had contracts they (predators) have money invested in those boys, of course they would play them over Scott. He pushed his way through and made a name for himself. I completely disagree here…. Pekka Rinne should be given an A+. Aside from that, I’d go along with just about everything that was posted here. Great job! I too think Salomaki deserved at least a couple games with the Preds. Will be very interested to see which of these players will be with the Preds or another NHL team next year.